The Volkswagen E-Golf 2019 doesn’t look like any other EV. It has the same hatchback design as gas powered versions making it more appealing to drive and to own. It handles well, is easy to control and stable. Its engine is 134 HP and 214 lb/ft torque, making it fun to drive and much more reactive than the other EVs on the market. It has a 35.8 KWh batter which has 201 kilometres of range. You will need 5 hours to charge the battery to full with a 240 V outlet. DC fast charging is available which can charge to 80% in an hour. This is an included option in the SEL premium trim. One of the best things about the Volkswagen E-Golf aside from it being a better option for keeping our environment cleaner is that driving it doesn’t make you feel like you are driving an electric vehicle. The standard trim on the Volkswagen E-Golf 2019 includes dual zone climate control, 6 way partially adjustable front seats, 8.0-inch touchscreen, apple play and android auto. It has 23 cubic feet of space behind the rear seats, enough room to bring groceries home among other things. Driving a Volkswagen E-Golf 2019 is a great choice for commuters in the Lower Mainland. Why not save on the rising costs of gas and drive an E-Vehicle instead? The Volkswagen E-Golf 2019 will provide you with the Volkswagen quality and safety features it is known for. 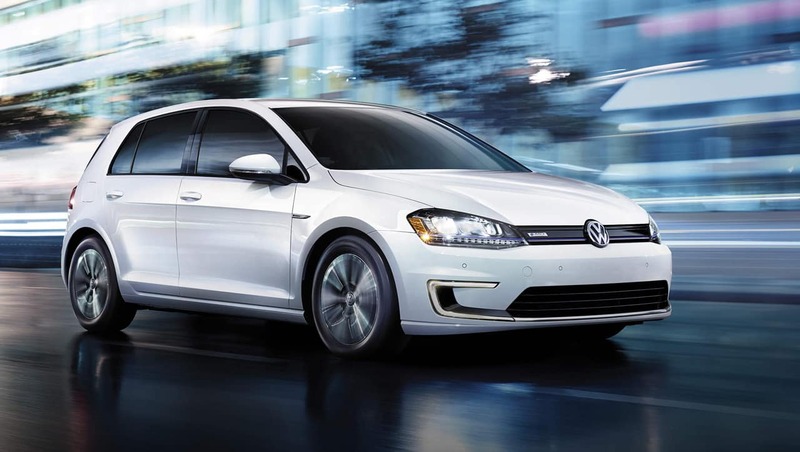 Contact us at Abbotsford Volkswagen to find out about the amazing Volkswagen E-Golf 2019. Better yet, take it for a test drive and see the pep this E-Golf packs for an E-Vehicle. You won’t be disappointed!